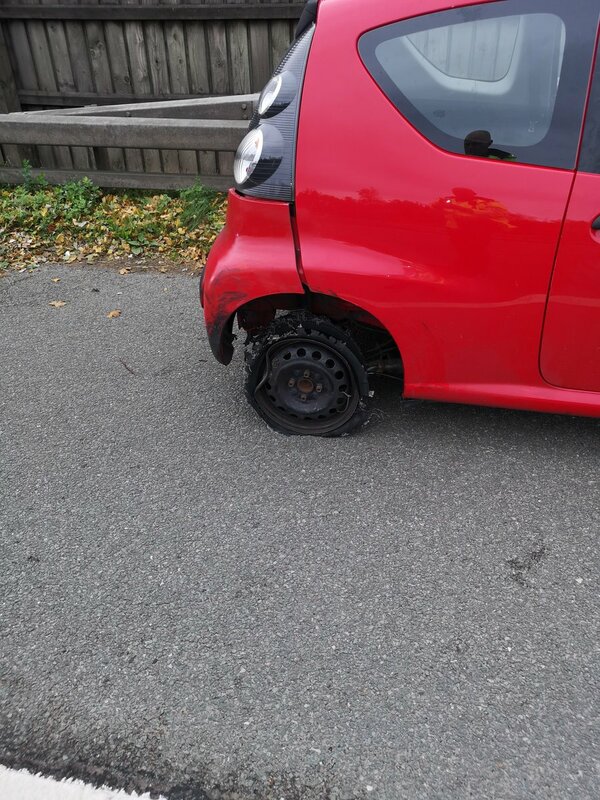 A car being driven on a metal wheel rim has been stopped by police on a motorway. 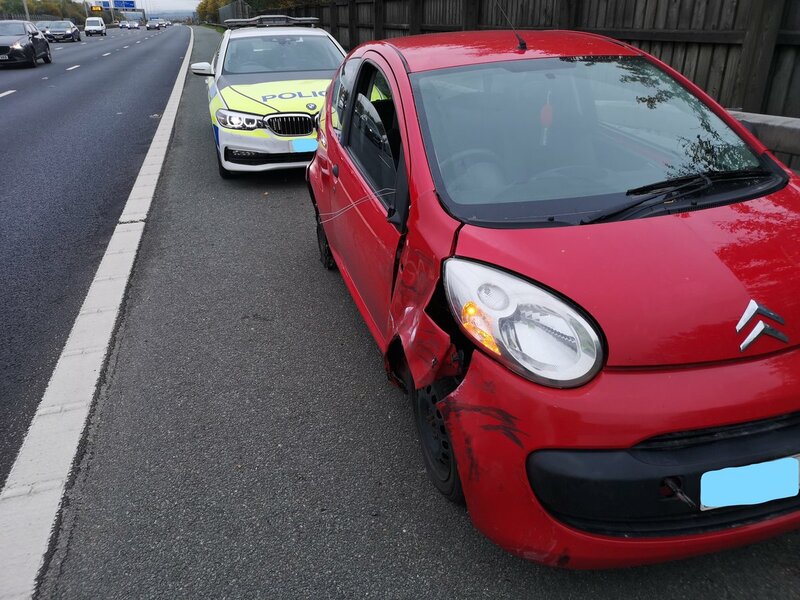 The battered red Citroen also had severely damaged bodywork and was missing a headlight and a wing mirror when it was pulled over on the M60 Manchester Outer Ring Road. Despite its condition, police said it was “not involved in an accident today” and the driver believed it was “acceptable” to be driven on the motorway. Officers were alerted to the vehicle after receiving “numerous” reports from concerned motorists. North West Motorway Police, which represents four forces in the region, posted on Twitter that the driver was arrested on suspicion of drug-driving after giving a positive roadside sample. The group said “patrols couldn’t believe it once we got the vehicle stopped”, adding: “This is not a wind-up. Vehicle in question has not been involved in an accident today.